This week black and white skirts have been catching my eye. A black and white patterned skirt is a great piece for your working wardrobe. It has such versatility; you can probably accessorise and pair it with various different items you already own. Don’t forget to choose a skirt length and shape that suits you. It’s best not to just jump in and purchase just because you love the skirt and the pattern (a note from personal experience!!). You purchased a black and white skirt. The next step is to asses your wardrobe. 1. The first option is a styling option that has been recently trending: mixing pattern with pattern in one outfit. This doesn’t have to look crazy but it can be harder to find a good match of items. It’s best to use a larger scale pattern on one item with a smaller scale pattern on the other. A pop of colour added to the mix can lighten the look. 2. Pull out all the blouses/shirts/tops (in one colour) you have for work. Now put the skirt on and try it with each of the coloured tops. What do you think? Do you like yourself in that colour put with the black and white skirt? In this example I have matched the bag to the shirt to unify the look. 3. This is the most straight forward styling option. Select all the grey, white and black tops/blouses/shirts out of your wardrobe and try them on with the skirt. Sometimes a style of blouse will go better than another. Until you get them on it can be hard to say. To brighten this look it’s nice to highlight parts of your outfit in a colour. In this example I’ve used a belt, shoes and nail varnish but you could use different items. Try a coloured jacket/cardigan, necklace or bag instead. Categories: Outfit Styling, Professional Outfit Building, Seperates, Shopping | Tags: accessories, black and white, blouse, colour, Fashion, pencil skirt, shirt, skirt, style | Permalink. 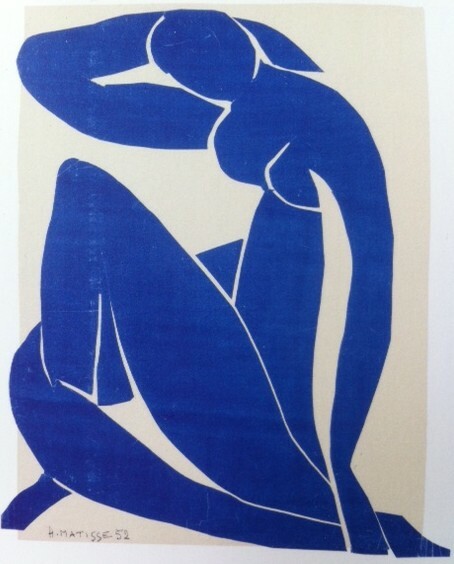 I’m always surprised when I mention an artist like Matisse and someone has not heard of them. I’m probably so absorbed in my own little creative world that I don’t realise that others are not so interested or have not been exposed to such delights. If you, like a friend of mine, have not heard of Matisse, 2014 is your opportunity to find out about him. The Cut-Outs is Tate Modern exhibition filled with huge works that Matisse created in the last seventeen years of his life (He lived from 1869-1954). You’ll see a video of him cutting the paper with his huge pair of scissors. You will be amazed that he cut three out of his four blue nudes in one single movement/cut from one single sheet of blue painted paper. 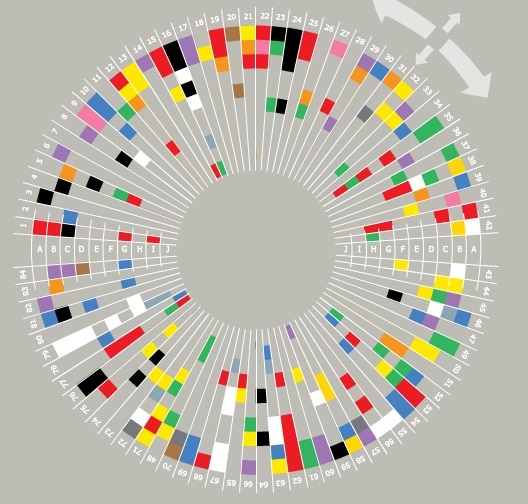 There is a table with swatches of all the colours that he painted the paper with – such beautiful colours. Seeing the brush strokes first hand and close up is not something I expected from his Cut-Outs nor was it something I thought that I would find so exciting and interesting. In books I guess I presumed the paper was already that colour (not painted by Matisse). I was stunned by the size of some of his work – you really do not get a sense of this from pictures of his work in books. Due to his limited mobility in these later years of his life he turned to this paper cutting technique. It was totally new and fresh and to me it feels as though someone could have been displaying these pieces as current new art works. 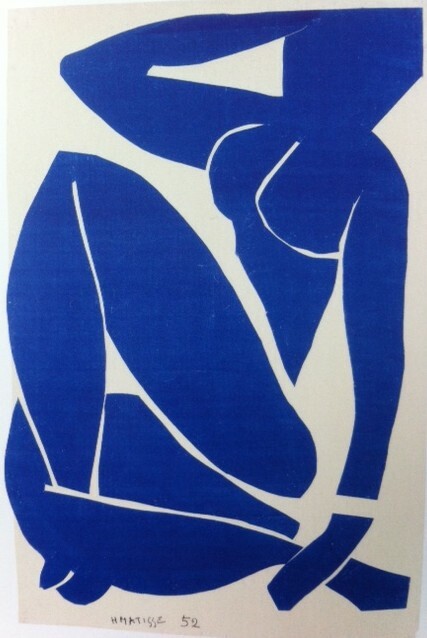 Matisse’s lack of mobility and declining strength seemed to only increase his ambition and scale of his cut-outs. He decorated the walls in his house with his cut-outs. Creating a natural world inside that he could no longer be part of outside. 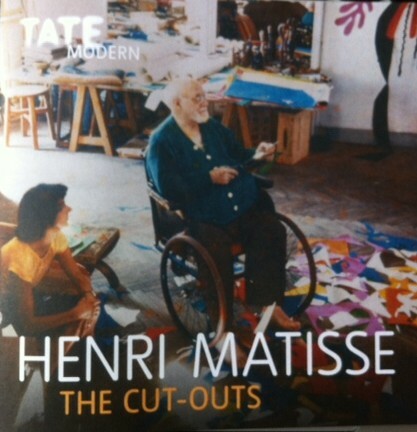 Whether you know Matisse from his earlier works or you do not know him at all, this is a beautiful must see for all. Henri Matisee: The Cut-Outs finishes on the 7th September 2014 – lots of time left! Visit this extraordinary 14 room, 130 works of art (you get your money’s worth!) exhibition at the Tate Modern in London. 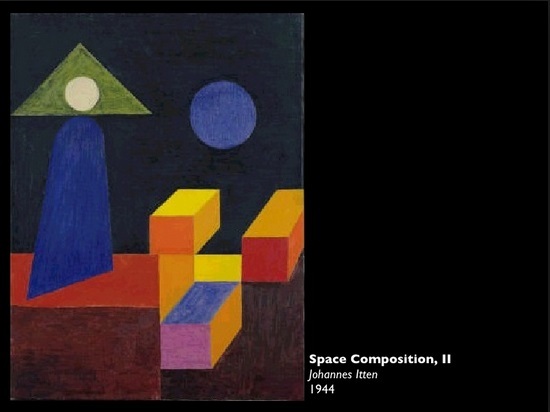 Consider this exhibition your art education for 2014. Please don’t forget to book all your tickets. It is a very popular exhibition and the day I had booked tickets for, completely sold out. Categories: Galleries and Exhibitions, Out Of Office | Tags: Art, Artist, colour, Exhibition, Henri Matisse, London, paper, work | Permalink. Summer is edging closer and Spring keeps raising it’s pretty face with blooms and blossom and the occasional warm spell. Is your wardrobe feeling a little tired and in need of something that makes you feel in the Spring Summer spirit? I’ve been putting away the large knitwear pieces in my wardrobe and getting out the spring summer pieces. But what I think I actually need is a fresh colour. A bright colour that complements your skin tone in an easy to wear shape can update a wardrobe with ease. So for me, I’m of course going with one of my own collection pieces; the Eloise dress from my Riviera Collection – this is an easy shape to wear as well as style in a variety of ways for different occasions. Categories: Dresses in colour, Professional Outfit Building | Tags: 2014, bright colours, clothes, colour, dress, Fashion, Spring Summer Collection | Permalink. Grey can look very professional for work. You need to pick the right grey for you. A very dark grey could be perfect or it could overpower you. A pale grey could work wonders or could wash you out. As with all colours you need to see them against your skin tone and preferably in a natural light. A friend with an honest opinion helps and you can compare different grey’s against your skin tone. A sales assistant who tells you the truth is worth her weight in gold – ask her opinion, get her suggestions and show your appreciation. All sales assistants should be honest (but this isn’t always the case), if you get home and you hate it then you’ll just take it back, a waste of everyone’s time. Categories: Grey Dress, Professional Outfit Building | Tags: clothing, colour, dress, Fashion, grey, look, outfit, Professional, style, Women, work | Permalink.